Zoonoses are diseases that can pass between animals and people. They’re relatively rare in this country. Rabies is probably the best known. Other examples include salmonella, ringworm, e-coli, Weil’s disease, orf, and Lyme’s disease. Lyme’s disease is the most common zoonose in the UK, according to government figures, but still rare- about a thousand cases being reported each year. It’s passed on by tick bites, and ticks are common in the New Forest. 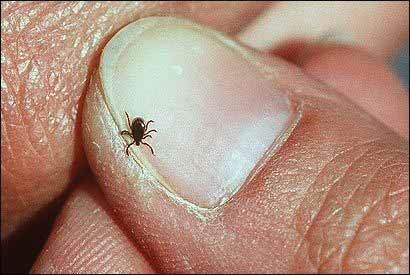 If you get bitten by a tick, you should keep an eye on the area of skin around the bite, as one of the most common signs of infection is a pink or red circular rash that develops around the bite some days afterwards. The rash is often described as looking like a bull’s-eye on a dart board. The Health Protection Agency monitors reports of zoonoses, and produces annual reports about the numbers of cases. 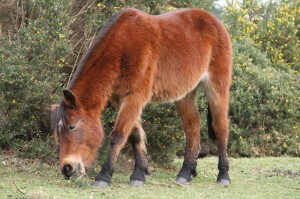 X is a letter that appears in many of the distinctive brand marks of the New Forest. Every commoner who turns out ponies, donkeys or cows must have a registered brand, and mark their animals in a certain way. The Agisters know the brands, so they can see who owns a given pony. There’s a charge to register a brand. The idea is to discourage people from registering brands they never intend to use. A brand has to be a simple, clear design that is easy to see and describe, otherwise the brands might get confused. 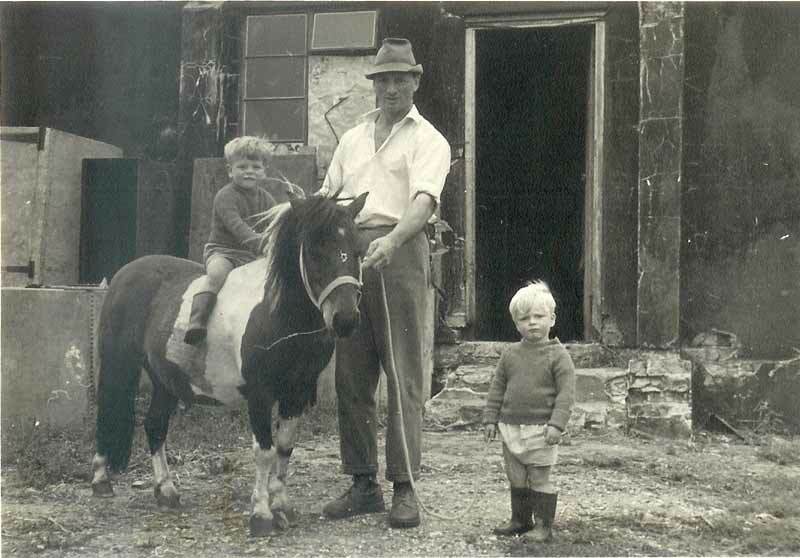 If a person sells a pony to another commoner, the new owner is meant to add their brand behind the original. It’s possible to see ponies with several brands where they’ve been sold on a few times, but it’s unusual. Foals shouldn’t be branded too young, otherwise the brand will grow along with the foal and end-up looking too big. 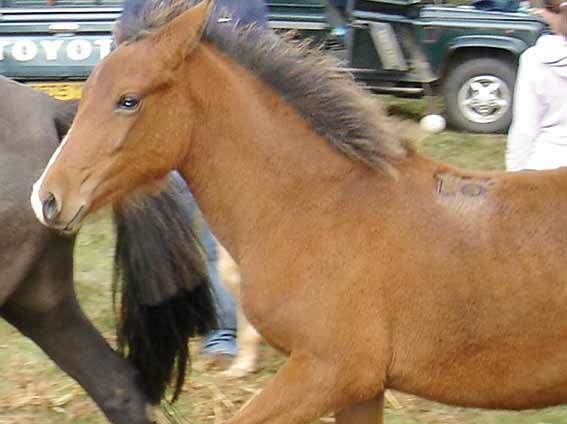 Nowadays cattle have to be ‘freeze branded’, but ponies and donkeys can still be hot branded. The branding iron is left in a fire until it becomes red-hot, when just a quick touch against the pony’s side will create a clear mark. The branding doesn’t appear to hurt the ponies or cause any lasting distress. Welfare of the animals on the Forest is taken very seriously. The Verderers have rules for checking the condition of the animals. If an animal is too thin its owner has to take it off the Forest and feed it up before letting it out again. Animals also have to be taken off the Forest if they are sick or injured. Twice a year the Verderers organise ‘welfare tours’ where experts from organisations such as the RSPCA and the British Horse Society tour the Forest to inspect the stock. The findings from the tours are reported on the Verderers’ website. 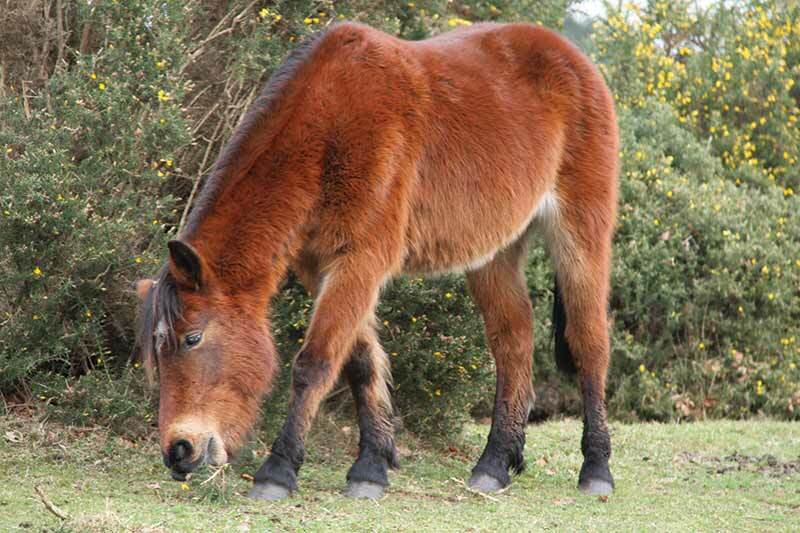 If you see any sick or injured ponies, donkeys, pigs, cows or sheep on the Forest you should get in touch with your Agister (who is the person on the ground responsible for welfare), or call the Verderers’ office on 023 8028 2052. Try to give them really clear information about what the animal looks like, and where it is. Saying that you’ve seen ‘a brown pony in the woods’ isn’t much help when there are hundreds of them!